Oil & Energy is an Australian-owned and operated independent oil distributor. We pride ourselves on supplying quality products with excellent service across Australia. As a leading importer, wholesaler, and retailer of full-synthetic oil from major brands including Red Line Oil products, we’re your leading provider. Get in touch today to discuss your options. Red Line Synthetic Oil Corporation has grown to manufacture more than 100 quality products. This includes motor oils, gear oils, assembly lubes, fuel additives, and the popular WaterWetter cooling additive for the automotive, motorcycle, marine, and industrial markets. While racing motor oils provide more wear and tear protection than motor oils for passenger vehicles, these products contain fewer detergents and are not suitable for street use. 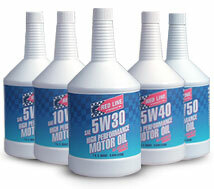 Red Line Oil now distributes its diverse line of products across the globe. The company brings a wealth of expert knowledge about available technologies and responds to technical challenges, satisfying the high demands of the performance industry. Red Line’s employees are enthusiasts that stay on top of the racing and performance car sectors, ensuring that their product recommendations allow customers to significantly improve performance. Formulating full-synthetic oils and chemically-advanced additives with the world’s finest base stocks – as opposed to cutting costs by blending in petroleum products – Red Line’s motor and gear oils use superior ester base stocks. These provide added stability at high temperatures and superior film strengths at lower viscosities where more power can be produced. With an impressive line up including Red Line Motor Oil, Red Line Gear Oil and Red Line Transmission Fluid, these specialty lubricants are created for the latest high-revving four stroke motor cross bikes, ATVs, sports bikes, and V-Twins. Made for power, Red Line motorcycle and powersport lubricants are designed to resist the shearing action and keep the viscosity within the desired specification while providing superior wear protection. Want to know more about Red Line Powersport products? 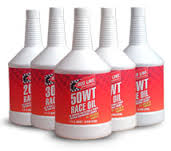 View the catalogue below to see the range or click here to get the full bottle on Red Line Oil For V-Twin Motorcycles. Not sure which Red Line products you need? Our friendly Customer Service team is available during business hours to receive all orders and technical enquiries. Once you’re ready to purchase, orders can be submitted via phone or online. 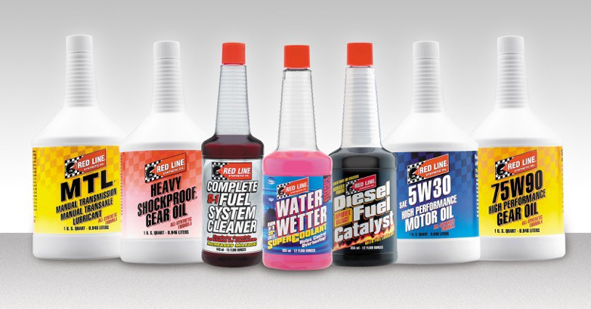 Contact Australia’s preferred Red Line Oil dealers for a full range of products, or to find out about becoming a Red Line stockist. To speak directly to a brand-specific professional, give us a call on 1800 91 5824. 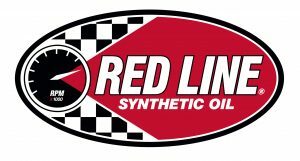 Visit our online store now to purchase Red Line Synthetic Oils straight to your door. Produced in only one top-of-the-line grade, Red Line Motor Oils offer the highest quality available on the market today and in the widest variety of viscosity. *dexos is a registered trademark of General Motors Corporation. Call 1800 015 580 for more technical information. These products contain the extreme pressure additives necessary for ultimate protection road cars and racing vehicles, as well as friction modifiers for proper limited-slip opeNot recommended for most synchro applications due to the product’s extreme slipperinesration. Recommended for Mercedes 235.10, Dodge/Fiat BOT350M, GM BOT 303 MOD, Toyota/Scion Manual Transmissions Gear Oil LV, VW/Audi and BOT270A Graziano Transaxle for Aston Martin, Audi & Lamborghini. Since most GL-5 gear oils for differentials are too slippery for manual transmissions, Red Line offers these products that ensure proper shifting while providing ultimate wear protection. Acting like a liquid grease, these unique lubricants contain a suspension of solid microscopic particles as an extreme pressure agent, offering a “best of both worlds” balance of low drag and superior protection for gear teeth. With eight different combinations of viscosity, slipperiness, and OE-recommended additives packages, Red Line offers the widest selection of ATF available. These products include a unique agent that lowers temperatures by reducing or eliminating bubbles or vapor barrier that form on hot metal surfaces. Use one bottle for most passenger cars and light trucks, treats 3 to 5 gallons or 13.2 to 15.9 liters. Vehicles with larger cooling systems should use two bottles. These products offer unprecedented value with concentration to treat larger fuel volumes at a lower cost. Available in different levels of concentration, these products provide the detergency, lubrication, and faster combustion for today’s diesel fuels. These products offer the specific chemistry required for motorcycles, ATVs, snowmobiles, and personal watercraft. Recommended for V-twins that need more viscosity due to operation in extremely hot climates. Specifically blended for air-cooled V-Twin engines with traditionally wide clearances like Knuckleheads, Shovelheads, and Panheads engines. For all aftermarket versions like Baker, JIMS, S&S, etc. These products can be mixed together to create intermediate viscosities, customized for a dampener’s particular characteristics. Popular in NASCAR’s professional categories, motocross, and road racing, where top engineers try to run the lightest fluid possible that maintains its viscocity and stability.